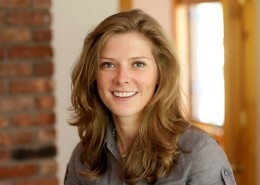 Eve Ashworth is an entrepreneur, strategic leader, problem-solver, and forbes.com content contributor. She began her career as a marketing coordinator for Ultradent Products Inc., managing the Institutional Sales Department and effectively facilitating the world’s biggest tooth-whitening product into 52 U.S. dental schools and 16 international schools. For over 16 years, she has honed her leadership skills as co-owner of Ashworth Creative. Her passion for entrepreneurship, pursuing challenges and growing a team of dedicated professionals is at the heart of what she enjoys most. The agency is now a full stack marketing agency providing solutions through visual and content branding, web development and applications, digital marketing, print and video content development. She works with medium to large size companies by building comprehensive marketing strategies that promote growth. In 2018, Eve developed Go Gladys™, a non-linear presentation aggregate platform that helps clients in any industry to store, organize, parse, and sort vast amounts of content to create consistently designed and branded presentations. While developing an innovative product comes with a multitude of challenges, she has learned to trust the process, turning challenges into opportunities and forging greater success. She received the Dutchess County Regional Chamber of Commerce 40 Under 40 award and was recognized as Hudson Valley Magazine 2017 Top Women in Business. She serves on the board of Premier Cares Foundation. Eve graduated in 1996 from King Edward VI College in Warwickshire, England with a degree in Communications.